A research partnership between the University at Buffalo and the Niagara Frontier Transportation Authority is making public transportation better for riders with disabilities. The NFTA assisted in the creation of a bus simulator at the Inclusive Design and Environmental Access (IDeA) Center on UB’s South Campus. The simulator allows for experimentation regardless of weather or time, and keeps every available Metro bus on the road. The research is aimed squarely at helping individuals with physical and developmental disabilities lead independent, productive lives. 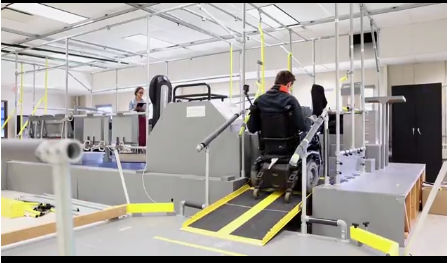 IDeA’s most encouraging ideas have included automated securement for mobility devices like scooters and wheelchairs, easy-to-use retractable ramps and overall interior design. Metro has a fully accessible bus and rail system, but data is being used to make improve the experience for every user. UB's video is available here.